Kelly is always keeping me up to date with Bryce’s latest words of wisdom, which is great because it always jump-starts a conversation with Grandma. Bryce has become a fan of smoothies. I know this because he recently walked into our kitchen and asked if we could make one. So when Kelly mentioned what happened the other night, I was not surprised. 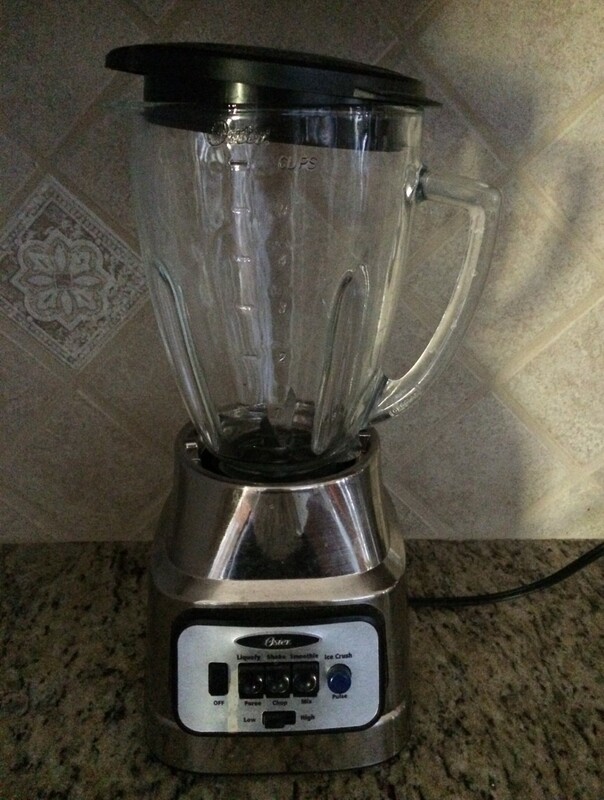 Apparently, after he had been in bed a long time and presumably asleep, Mark decided to whip out the blender and make himself a nice refreshing blend of fruit, yogurt, and juice. No sooner had the blended began to make its whirring sounds, Bryce showed up in the kitchen and announced, “I’m here for a smoothie!” He did not want to miss out on a treat. That reminded me of my youth, but back then, we were not drinkers of smoothies. In fact, I never heard of the word as a kid. Instead, I drank blizzards. A blizzard was a drink made famous by, I thought, Dairy Queen. My favorite flavor to get was a pineapple blizzard, but at home, we always made chocolate blizzards. So did Grandma invent the name, and the recipe (ice cream, milk, and Bosco chocolate syrup), and then sell it to Dairy Queen? If so, where is the money for her invention? Inquiring minds need to know the answer to this mystery! 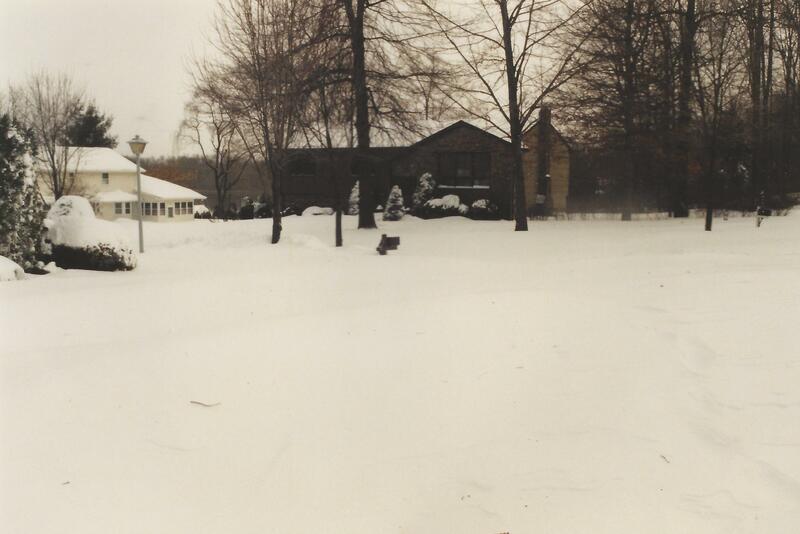 I have decided to end Blizzard Week with the President’s Day Blizzard of 2003, which was the storm which had the biggest impact on our family. It was senior year, and Kelly was waiting to hear back from all the colleges she had applied to—from Miami up the east coast to Boston. Not one application had gone to a New Jersey college. We all remember the moment when Rowan was eliminated from the mix. It happened even before we arrived on campus when one of you mentioned all the cows they could see from the car windows. Kelly wanted to attend a school in a city—New York, Washington, Boston, Miami. She really had a thing for the University of Miami, but had not heard back from them by the time she headed to Boston with the forensics team for the annual tournament. So she boarded the bus for a weekend of speech-making and fun on the campus of Harvard. On Sunday night, back in New Jersey, the first flakes began to fall and did not cease until Monday evening, dumping almost two feet of snow in town. Boston’s snow did not began until Monday and ended Tuesday, dumping 27.5 inches of snow—the most snowfall in a 24 hour period on record. Kelly tells me they had to stay in Boston an extra day, which they all enjoyed. They did not, however, enjoy getting stuck on the Massachusetts Turnpike on their return trip, necessitating a wait a rest stop for another bus. When she got home, I announced that we would be making a return visit to South Carolina the next month. “What about the trip to Miami?” she asked. I went on to inform her that while she was away frolicking in the snow, she had received a letter from USC informing her they she was awarded a scholarship and was invited to attend scholars weekend. Since she still had not heard from Miami, and it was now over a month after when the acceptance/rejection letters were supposed to be sent, the Florida trip was on hold. We all know how the story ended. The blizzard cemented her decision to eliminate all schools north of the Mason-Dixon Line, and she loved what she saw at Carolina. She met Mark that year in her dorm, and later learned that he and his mom were standing in line behind us at breakfast one morning during Scholar’s Weekend. It was fate. Stories always surface on the news about the increase in births after a storm or a power outage. In this family, a snowstorm in the Northeast resulted in the births of two babies, but ten and thirteen years later, not nine months. 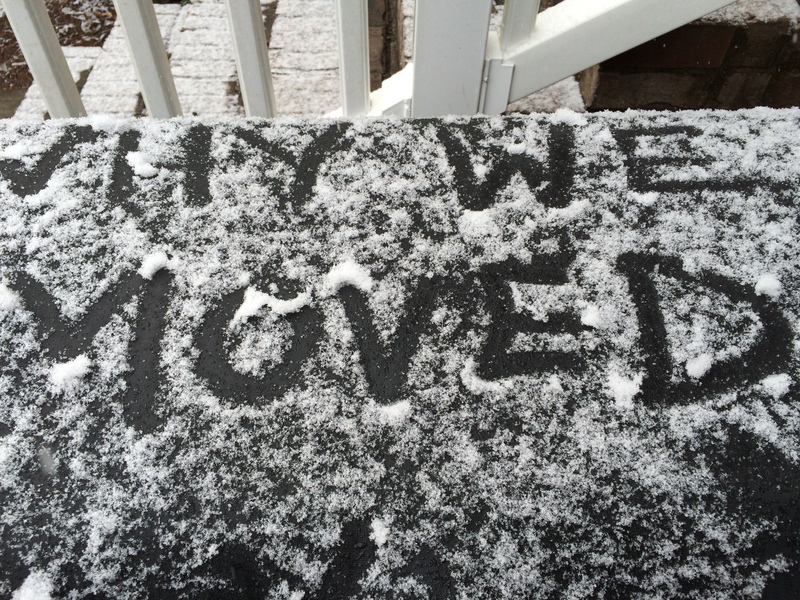 As part of “Blizzard Week”, I thought I would share a few more snow anecdotes with you. 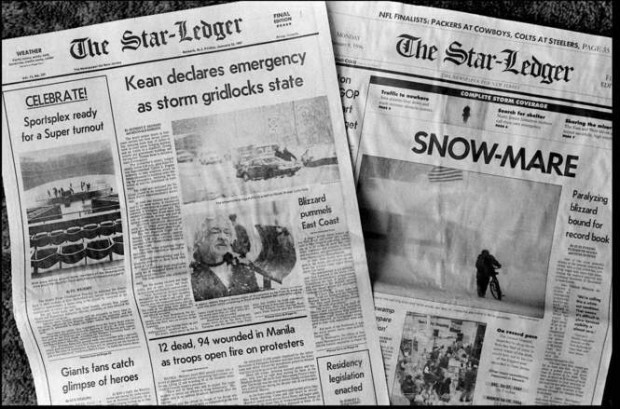 Jamie reminded me about the February 1978 blizzard, when Dad walked from his apartment in Lake Hiawatha to our home in Boonton. Grandma, Aunt Ar and I were vacationing in Florida, unaware when we left New Jersey the size of the storm we would be missing. We were gone before the first flakes hit—that I am certain because this storm, which began late Sunday afternoon, shut down the state for three days. All schools, businesses and airports were all closed. The mail was not delivered for two days, and it was only the second time in its 212-year history that Rutgers canceled classes. Similar to what happened during the blizzard this past weekend, people were stranded in their cars and at the airport, and the Jersey shore suffered much damage as well. So when Dad realized he would be stuck alone in his apartment for a few days, he decided to hike to my house, where he could hang out with my brothers, Aunt El, and Grandpa. He was working at the same company as Grandpa, so he figured he could always hitch a ride to work with him if necessary. Meanwhile, the three of us were down in sunny Florida. Aunt Ar was looking forward to catching some rays somewhere, but that never happened. While we had no snow, it was very cold at the beginning of the trip—30’s and 40’s cold. There was no sunbathing or swimming, so Grandma and I decided a trip to Cape Canaveral would be fun. Aunt Ar was not pleased, and I remember a lot of complaining on her part. I believe she has been harboring feelings of bitterness towards me since then. In retrospect, we should have left her behind at the hotel while we were getting educated about the wonders of space travel. We then headed to Disney World where Aunt Ar and I made Grandma ride on Mr. Toad’s Wild Ride by herself, while we were in another car together in front of her. It was funny to see the expression on her face at the end of the ride! Sometime during that trip, we visited my Aunt Helen and Uncle Joe and I admit I don’t remember a single detail of that visit. If Aunt Ar finds out, she will laugh and blame it on my age. Was it that bad so I am blocking it out, or is my brain really beginning to deteriorate? It’s probably a bit of both. All I know is that as cold as it was (and I do remember that the temperature warmed up by the conclusion of the trip), it was still far better than being trapped at home by the blizzard. I must say that I was very impressed with Dad for making the 3 ½ mile trip—up two hills in frigid temperatures between 3 and 15 degrees. He really did not enjoy being alone! You Think Your Job is Bad — a.k.a. A REALLY Bad Day! 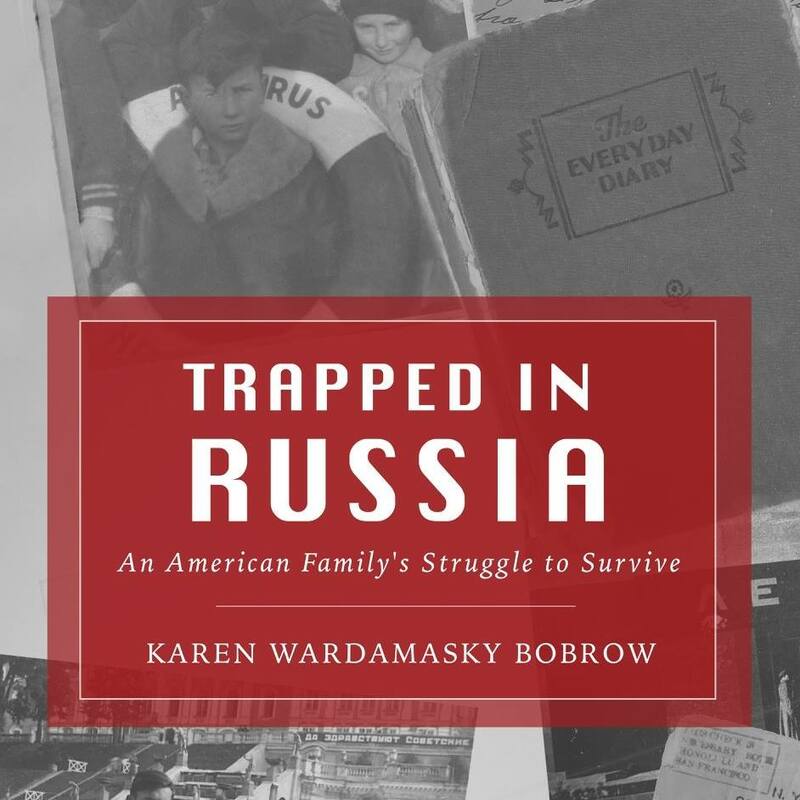 Continuing with my discussions of snowstorms for Blizzard Week 2016, I would like to tell you about the Blizzard of 1888 and a little boy named Leonard Blue, who was my grandmother’s uncle. When people went to sleep Sunday night, it was raining. Everyone was caught off guard by what greeted them Monday morning—the “White Hurricane.” While the amount which fell in the city was recorded as “only 21 inches,” there were snowdrifts as high as the second floor of some buildings. 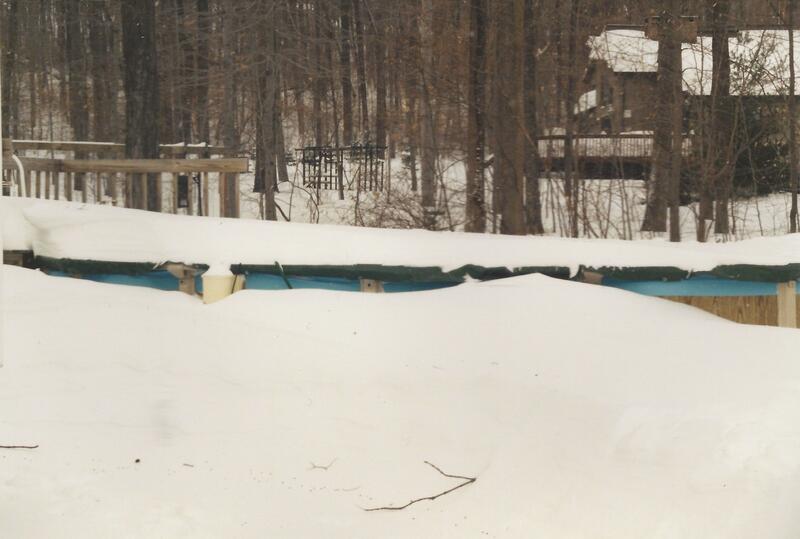 Some areas of New York and Connecticut saw over four feet of snow, wind reached speeds near 100 mph, and the temperature hovered around zero. When fourteen year old Leonard set out to work as a messenger that Monday morning, there were already huge drifts of snow. He was kept so busy he was unable to stop for lunch. At 2 pm he was sent to deliver a message to a man three miles away. He waited ninety minutes outside for a train, all while the wind and snow hurled around him. When he got to the address his employer gave him, he discovered that no one lived there. No trains were running by then, so he began to walk—a mile and a half—before he fell down in the snow, exhausted and frozen, 3 ½ hours after he began his journey. He was found lying in the snow, unable to speak, by a stranger who brought him to his home where the man and his wife discovered that Leonard’s pants were frozen to his legs. He was badly frostbitten and in great pain, made worse by the fact that his left leg had been broken eight years previously after being run over by a farmer’s wagon. He spent the night with the stranger and his wife, and his parents (your three times great grandparents) were notified by a reporter from the New York Sun. Moral of this story is that no matter how bad you think your job may be, it’s not as bad as that of poor little Leonard. None of you would ever be required by your employers to go out in a blizzard. They would have had to deal with me if they did. The Blizzard of 2016. Dad and I watch the news reports and talk on the phone to Jamie and Casey. You had the food, the wine, the beer, the chocolate, candles, flashlights and batteries. You were all prepared. Your girl scout training and wonderful parents and grandmother taught you well. The storm arrived much earlier in DC, but Casey left early and takes trains, so I was not worried. Chris was the only concern. Fortunately the brunt of this storm named Jonas was happening on a weekend. The stories compared this to the Blizzard of ’96. I remember it well. That storm began very early on Sunday, so I took the three of you to church and sent Dad out with a grocery list. Everyone who was not at church was at Shop-Rite. Dad, undaunted by the large lines, tried to complete his mission before we returned from Mass. With lines snaking around the store from the cashiers back to frozen food, he made an executive decision to abandon his cart and go elsewhere. Bye-bye Shop Rite and hello Quick Chek. It was a risk he was willing to take. It took ingenuity to complete his assignment, but Dad was up for the challenge. While he could not find bread on the shelves, he was able to find a substitute—hamburger rolls. No oatmeal, but they had oatmeal cookies. You get the idea. I think I was impressed by his resourcefulness. As he looked around him, he saw familiar faces. They were not friends or neighbors, but rather, other ingenious folks like him who had also left Shop-Rite for the aisles of Quick Chek. I learned to be more prepared in the future. The following year, my 1997 kitchen pantry closet was brimming with canned soup, mac and cheese, and Parmalat, which was milk in a carton with a shelf life of six months. I know it’s kind of creepy but the rationale for me was that it would only be used in a natural disaster, like a hurricane or a blizzard. When 1997 turned into a bust of a winter blizzard-wise, I opened the container and decided I would rather have the powdered milk of my childhood than super-heated long shelf-life milk. So what this storm has confirmed to me is that I just can’t do that snow anymore. I just can’t! But with most of my family choosing to live there, I can’t put the worry behind me. It’s a mother and a family thing.